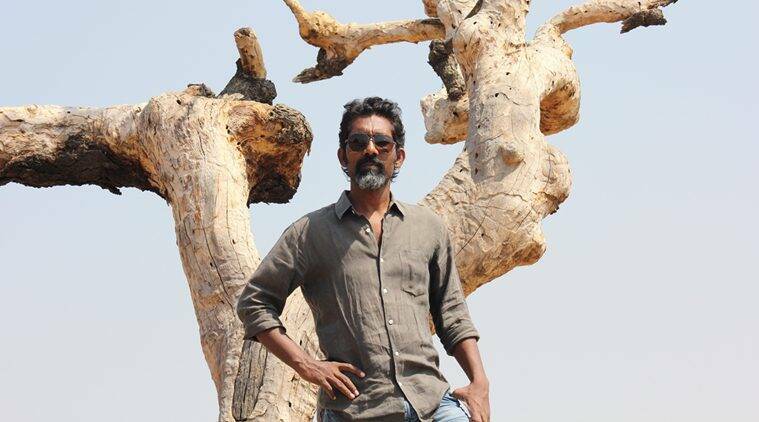 Nagraj Manjule, 37, revitalised Marathi cinema with his debut film Fandry, a searing indictment of caste. With his new film, Sairat, which releases in April, he may have moved on to a love story, but explains why his cinema is concerned with inequality. With his new film, Sairat, which releases in April, he may have moved on to a love story, but explains why his cinema is concerned with inequality. Your first film Fandry was widely appreciated. Was there any pressure on you for your next, Sairat? While making Fandry, I did not have any expectations. I just followed my heart. It’s the same with Sairat. Had I started wondering about people’s expectations, I might not have been able to do a good job. This film is very different from Fandry, it is more commercial. Those who loved Fandry might even frown at the fact that Sairat has four songs. However, Sairat is my attempt to make a ‘classic’ love story, which is rarely seen in Marathi cinema; most romantic films are comedies. This is my first feature film, written before Fandry. I was not sure how to go about writing it. I kept it aside after struggling for two months and moved on to other things. You have often said that Jabya, the boy in Fandry, is you. How much of your life is in Sairat? Sairat is not my story. Yet, it is universal in nature. While developing the characters, I exist in them as a writer and director. I always cite this example — when a postman reads out a letter to a villager, he also becomes a part of the exchange. I was deeply in love once. I hoped that she would reciprocate with equal intensity. That wish was never fulfilled. However, a part of me is probably in both the hero, who is madly in love, and also in the girl because she responds to his emotions. I could not change the course of my love. In the film, I am in control of the plot, and I have tweaked reality as per my whim. Unlike the largely arid landscape of Fandry, Sairat has a different setting, more pleasant. We shot for it in and around my village Karmala in Solapur from February to May last year. The landscape there is very interesting — one part is lush green due to the backwaters of Ujjani dam, the other side is arid. In the teaser, you see a beautiful stepwell, that is in the village. There are many beautiful locations around the place I have shot at. Fandry, the story of a Dalit boy in love with a girl from a higher caste, depicted the harsh realities of life. Is the love story of Sairat more optimistic? Expressing love is not an easy thing. Sairat is the story of impossible love. I don’t need to consciously work on adding layers to it. Social issues like caste and gender discrimination are in the air. The way gravity exists as long as you don’t go into space, discrimination exists wherever you go in India. In Fandry, there was not any direct mention of caste, but it was present. It is there in Sairat as well, which is the story of two people from different castes and class falling in love. Till now your have narrated stories that you have experienced. Do you ever see yourself moving away from that? Why should I step out of my sphere? Just to prove that I am versatile, I am not going to copy the movies of Christopher Nolan or Steven Spielberg. Till now, my life experiences and concerns have been related to the caste system and humanitarian issues. When I come out of it, I will make another kind of movie. Some time ago, you posted a poem on Rohith Vemula. What is your view on the public debate on caste? My friend Pradeep Avate had written the poem that I had posted. There is a lot of intense debate taking place on social media on these issues. People have very little patience and are becoming abusive. What I am upset about is that no one is ready to listen to the other. They are stubborn about their opinion. I believe that there should be a dialogue. We live in the same country and none of us are anti-nationals. When both the parties are concerned about the nation, we need to find out what’s going wrong. Till the time you drop a stone into the river, you don’t realise there is slush under the water. Similarly, the caste system has always existed in India. But now, due to social media, we are more aware of public opinion and reactions. Have you personally experienced caste discrimination? And do you think you are better accepted now after the success of Fandry? I consider myself de-caste. I acknowledge the problems of the caste system so that we can work towards finding a solution to it. I am not a star, but on Facebook I have some 50,00 followers from every caste. People like and share my posts. Primarily, people are not bad by nature. It is important to pay heed to contrarian views. Some people were upset with me because I never used to go for discussions on caste. Today, I go there and share my views. How did you go about writing and directing Fandry? I usually don’t get down to writing until the whole story is framed in my mind. In 2011, I wrote Fandry in 40 days. I used to keep crying while writing the scenes. Cooped in my brother’s single-room home in Mumbai’s Ghatkopar, I wrote it at a stretch, taking breaks only for walks. Mostly, I wrote at night when my brother, his wife and their two daughters would go to sleep. And I used to fall asleep in the morning. The whole process was very cathartic for me. The reality of Fandry was very harsh for me. Today, it has become my identity, an honour. The process of writing was like a workshop for me and gave me the confidence that I can write another script. That’s when I went back to Sairat, a youthful and colourful film. Like Fandry, you have chosen local boys and girls for Sairat too. Both the protagonists of Sairat are non-actors. The heroine, Rinku Rajguru, is not your typical one with a size zero figure and coy demeanour. She is a bindass village girl. The hero, Aksh Thosar, is more good looking. So far, the reactions on social media show that most of them like the boy and are questioning the choice of the girl. Once you watch the film, I guarantee, you will love the girl more. She is the ‘hero’, Sairat. Aksh was spotted at the Jeur station by my brother, Bhusan. Rinku was accompanying someone during an audition near my village, when I first met her. Once the casting is done, my actors start living with me. I believe that when an actor does good work, the credit should be shared by both the director and the actor. However, when an actor fails to deliver a good performance, it is the director’s failure. Sairat’s music, composed by Ajay-Atul, is doing well. Is music an integral part of the film? Love stories on big screen in India are not made without music. We have four songs and I have tried to use them in my way. When it comes to music, I take emotional decisions and go for what moves me. We had a narration of Sairat with composers Ajay and Atul soon after Fandry was released. During that session, they came up with Yad lagli, which was released recently. They have tried something different with the symphony and orchestration in the film. Why did you choose cinema as a career? After graduation, I left my village to do my Masters in Marathi in Pune. I tried to do a professional course, but could not manage the fee. I studied mass communication in the hope that I would get a job in a TV channel. I became confident about filmmaking when my short film, Pistulya, which was made at a cost of Rs 12,000, received a National Award in 2011. I have watched more films than any film school student or doorkeeper of a cinema hall. At my village, I used to watch two movies a day. So learning the tricks of filmmaking came easily to me.